Home » The Forum » Liberty versus whitetail on weekdays..
I’ve been to Whitetail once, after the snowfall we had last march 21 I think it was 3-6”. How is the terrain / weekday crowds at Liberty compared to Whitetail ? Also the snow-making ? I’m trying to figure out what to do about season passes next year.. could use some help! I think most folks would rank Whitetail the better place terrain-wise, but I often have more fun at Liberty. Whitetail has more vertical and a HSQ chairlift. The steep runs at Whitetail have more sustained pitch. The steep runs on the backside of Liberty might be a little steeper, but the steep parts are very short. I find the runs at Whitetail kind of repetitive with all the same straight pitch down the hill. Although, a good day on the bumps by the experts chair can be a great workout. The backside of Liberty provides some short steeps often with moguls, then an intermediate pitch to let the skis run to the base of the chairs back there. They sometimes let one of the backside intermediate runs bump-up and that can be fun too. Both places are usually not crowded on weekdays unless there is an unexpected holiday in local school districts, for example, teachers work days for Fairfax County, VA. I think generally Liberty is a little less crowded than Whitetail, but both can be pretty crazy on holidays and prime weekends. IIRC, Liberty serves beer, Whitetail does not. Traffic-wise it’s about a wash, but sometimes there can be traffic on 15 near Frederick on the way to/from Liberty that you don’t have to deal with by staying on interstate to Whitetail. If you buy a season pass to one Snow Time resort, doesn’t it apply to all Snow Time resorts? Since I’d mainly be heading there (mostly Whitetail) after ‘real’ snow falls, and since I also want to go to Snowshoe 5 -6 + times, and do maybe 2 Rockies trips as well, I’m not sure the season pass will save me much.. If I was going to to go 20-30 times then a no-brainer…but I imagine I would get bored of the terrain with so few runs. Still working on finding employment in Colorado! Thanks for the solid info.. I prefer Whitetail to Liberty but the preference is very mild. I think Liberty is *slightly* easier to get to (from NW DC) but the difference is very small. I prefer both to Roundtop though recently Roundtop has opened earlier than the other two. Roundtop is about 30 minutes further away. I pretty much agree with JimK’s assessment of the terrain at both Whitetail and Liberty. I’m a weekend warrior, so I try to get to both places right at 9am when I do go. I’ve found more crowds at Liberty, but again, the difference is small. I view my trips to all three places as a means to get in shape or “scratch the uncontrollable itch.” If you’re above intermediate, the runs can be quite repetitive. And because they’re short, you can bang out a number of them very quickly. I’ve stopped paying the extra $5 or whatever to get a full-day lift ticket because four hours is enough at all three places. Eleven full days at these places is too much for me, much less 20-30. I’m *very* glad they exist and are so close to DC, but I tire of them pretty quickly. Your mileage may vary, however. I agree with a lot/all of what you say..
My worst case scenario - if I can’t do any ‘real’ trips..I want to stay in shape while having fun. The driving requires a lot of concentration and is not something I look forward to (3 hrs driving for 4-6 hours boarding at Whitetail), but it does fulfill “the need”. My new thinking is also that Snowshoe 5 - 7 times (multi-day trips), and Whitetail (Advantage card) only if/when we get some snow..might turn out okay.. Thanks for the great reply, lot’s of good advice here on the forum ! Did you get an Ikon pass for Snowshoe? Nope..I was looking it that as well.. 5 hour drive one way.. easier logistically than flying somewhere (way better), but without another person to share driving, doing it often might work out for me, might not..
Have you looked to see how far north you can get driving 5 hours from your house? Meaning towards the Catskills or perhaps Blue Knob. If cost is a consideration, Snowshoe is not what most people would think of a low budget ski resort. There are reasons why DC folks not looking for resort loding tend to drive to Davis, not Snowshoe. I knew someone who used to live in DC and pretty much only skied out west. For a while he was primarily doing backcountry around SLC. He would book flights for long weekends during the Southwest sale in early Oct. If conditions were going to be good, he would go. If not, he would cancel for that weekend and use the credit at a later date. Blue knob has 100 acres and 1000 ft of vertical. snowshoe has 256 acres, 1500 ft, but much steeper terrain ? I thought it was the best within 5 hours..
I’m an expert level boarder - but not looking for terrain parks at all - just speed and steeps..
nothing local is going to compare to a ‘real’ resort, Like Telluride where I used to live, but…I have a difficult work situation preventing me from actually going where I would really want to go. But, I am on the forum to learn..(and help if I can) and don’t know much about skiiing here other than what I’ve googled. A lot of skiers get pretty bored at Snowshoe too. I don’t find it worth the extra intense driving. And as Marz said, it ain’t cheep either. Don’t let Blue Knob’s acreage fool you. Blue Knob has the most challenging resort terrain around a 2-3 hour drive. Their problem is getting open and fixing old deferred maintenance issues. Blue Knob can be annoying for snowboarding though, because some of the good terrain requires a long flat track. In soft snow, I see a lot of un-buckling and walking. Don’t get hung up on overall vertical and total acreage. 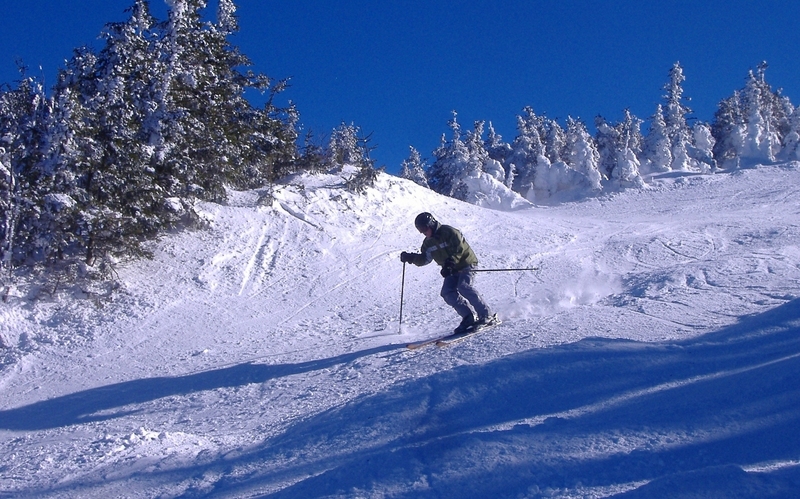 Most of areas of Snowshoe are 800 ft or 650 ft vertical. Only the Western Territories is 1500 ft. That’s two trails plus on occaison a glade. As for 256 acres, you probably won’t want to slide on more than a third of that, perhaps a quarter. A black in the Mid-Atlantic is often easier than most blues out west. It will take you 3-4 min to finish a run even over on the Western Terroritories. The lift ride to run time ratio in very, very different than a destination resort with high-speed detachable chairlifts like Telluride. 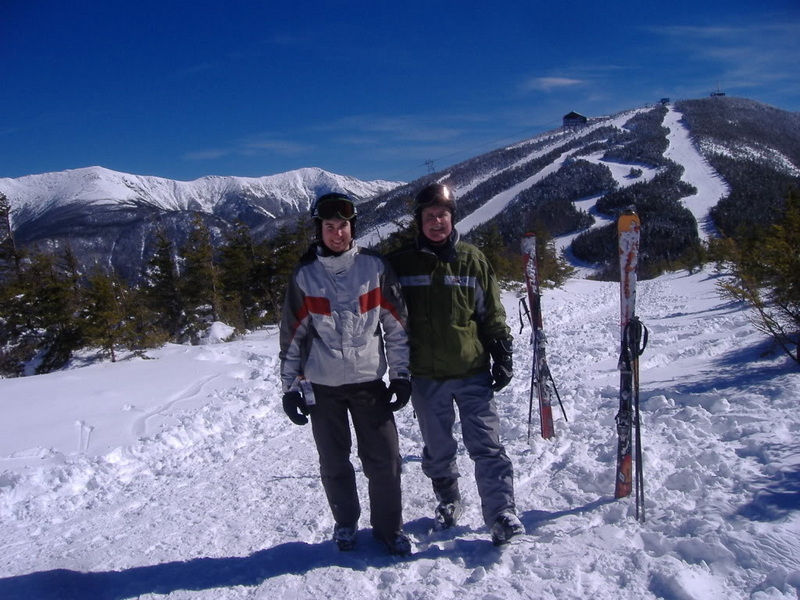 I’ve skied most of the ski areas in NC, WV, VA, and several in PA and the Catskills in the last decade. When I can, I like to explore new places for a day just to see how they compare to where I’ve been and what I read. I’m an older advanced skier, speedy by Mid-A standard but not particularly agressive. Don’t see the point of going fast on short slopes and riding the slowish lifts more often. Would rather make more turns. If I lived in DC, I would be inclined to drive north for a little mid-week skiing if staying overnight. I would not be heading to Snowshoe unless I was meeting up with friends or sharing a ride with someone else. Note that I don’t mind driving solo. Can drive 500-600 miles in a day when it’s worthwhile. However, driving on 2-lane roads in WV is not worth it. 2-lane roads in the Catskills or VT … that’s different. Montage near Scranton PA is worth checking out. I have friends who live in Philly who have season passes to Montage. Husband is a very good skier who likes to go fast. Plattekill is a bit farther and only open Fri-Sun but has the most fun in 1000 ft south of Albany. Both have relatively inexpensive day tickets. If you’re familiar beyond acreage and vertical drop stats, thats great. I guess you’re saying I actually need to look at trail maps, and see what % of trails at each mountain are actually steep, how steep, as well as how long the runs are, in order to find a satisfying place (in advance) to ski/board ? so far it’s sounding like I am not going to get any real good terrain within 5 hours from DC.. Still hoping to get a job in CO before winter…but I can’t count on that..
caveat: I haven’t been to either in close to 10yrs, so not sure what has canged at either to sway my long standing preferences…. The closest you will get to “real” terrain in the Mid-Atlantic is Blue Knob. Definitely worth checking out when their lower mountain is open. How can vertical feet (of drop) be overrated when looking for long, steep runs ? Also should be a good indicator of temperature, snow-making abilitiy, and snow-holding ability.. I did look up Montage as suggested, and it looks pretty good..4 hr drive.. I think you’re starting to understand the reality of Mid-A slopes. If you have the time, take a drive to Liberty or Whitetail or even Massanutten after Labor Day. Hike up the base slopes for 20 min to get to a blue trail. Maybe even hike up a blue. Take a look back towards the base. I’ve done that in recent years at Massanutten, Jiminy Peak (western MA), Wachusett (near Boston), and Whiteface (Lake Placid, NY). I’ve also skied at those places. As a result now I can get a sense of a ski area just by stopping by the base during the off-season. After that, the trail map always makes far more sense because I have context for scale. Just went up to Boyne Highlands, Boyne Mountain, and Nub’s Nob for a look since I was in Michigan visiting relatives. Hadn’t registered just by reading threads about skiing in the midwest that Highlands and Nub’s are across the valley from each other. You can see a Nub’s peak from the Highlands base. Could I have figured that out by looking at a map? Sure. If you are geeky enough, can use Hillmap to compare a favorite run out west to anything in the Mid-A for length and pitch. I suggest starting with a blue run that you have to take to get to the base at Telluride, not a black. Or splurge on a ticket to ride a lift at one of the Mid-A resorts that run a lift in Sept on weekends as the leaves change color. When I was still working, I flew out west every 2-3 years for a ski vacation. Didn’t bother driving to the NC mountains on weekends. I was an advanced intermediate since I learned to ski around Lake Placid in middle school but didn’t ski after that because my mother decided to move to NC. What I found as a parent was that Massanutten was a great place for a little kid to learn. My daughter was skiing SE blacks at age 6, and had not problem with Alta blues during her first late season trip at age 8. Since then I’ve learned how to improve my technique on skis at small hills like Mnut. What I didn’t expect is that I’m less bored skiing in the Mid-A now than before because I know how to make a short groomer interesting. Here’s an analogy to think about: canned peaches vs fresh peaches from a local orchard. I like both, but they are very different. I can have fun skiing a Mid-A groomer, but it’s nothing like fresh powder at Alta or even just a good day on long blue groomers at Telluride during low snow conditions (last Feb). Think about how long a run you used to get at Telluride after a 8-min lift ride. Perhaps imagine a warm up run done a blue. Now imagine riding a lift for 8 min and it taking 2 min to get back to the base of the lift. And that only groomed terrain is available for 100% of the ski area, perhaps 100-200 acres total. Look up the acreage for Telluride. Compute based on the percentage of blue/green trails how many acres they cover. Hope you don’t mind the long answer. I’ve been having fun in recent years checking out small mountains that I’ve read about for a decade. Have skied a few during driving trips to the northeast, but have stopped by during off-season at far more just to satisfy my curiosity as a retired ski nut. BK is an upside down ski area, with the main lodge at the top. Same for Laurel. Montage is very deceiving from the highway. The lodge and parking lots are at mid-mountain. Can’t see the black terrain at all because it’s in a completely different drainage that’s below the lodge and hidden from I-81. White Lightening is the steepest. So steep that a winch cat is required to groom the bottom section. I had no idea any Mid-A ski hill had a winch cat. I got to watch the groomer during an early season meetup last Dec with the friends who have season passes at Montage. The groomer was pushing around the first piles of snowmaking snow of the season. There is another black that is left to bump up during the season as I understand it. However, driving on 2-lane roads in WV is not worth it. 2-lane roads in the Catskills or VT … that’s different. The driving to Snowshoe and anywhere in Pocahontas County WV is unlike most drives. I don’t find anything about Snowshoe worth driving 2 more hours to. Like Marz said, everything there is 600’ or 850’ other than the 2 runs on Western side. You’re getting great advice on these posts, and in 6 months you’ll understand a lot more if you hit some of these places. Not really, the 2 ski areas are more similar than those spots. While I generally agree with the sentiments expressed about Snowshoe here, they have upped their game somewhat the last few years. More likely now to find bumps than in years past. Of course I am only 3 hours away - if I had to make the drive from DC I would probably feel differently. For steep, challenging runs, I agree that Blue Knob is a good choice. In equal conditions, it may even be preferable to Snowshoe. And it’s roughly 50% closer to DC. The problem, of course, is that conditions are rarely equal. The challenging runs at Snowshoe (Western + Soaring Eagle lifts) are open a much higher percentage of the season than Blue Knob. At least that’s been the case in recent years. Part of this is that Snowshoe is backed by a huge company and has invested in snowmaking whereas Blue Knob is in a different spot financially. WV also tends to get more snow than PA, so there’s that. I’d ride Blue Knob a lot more often if the steeps were open more frequently. But they’re not, so most of my time and attention is focused on Snowshoe, where you get reliable challenging runs on the Western territory (note that these would be considered average blue groomers out west, albeit ones that are 1.5 mi long). As for the drive, I don’t mind the windy WV roads. I do wish it were closer than 4.5 hours though. If you want challenge in the mid Atlantic go to Whitegrass. The challenge is in skiing/riding on natural snow the way it falls from the sky. IMHO it also offers a feeling of satisfaction, closeness to nature, and getting to know and partake in a unique culture and community. You can use snowshoes for ascent if you don’t have a split board. They rent them. If you are going to check out everything in the area, you owe it to yourself to check Whitegrass. Another vote for Blue Knob when conditions are good and you are looking for a bit more challenge than just about all other mid-Atlantic ski areas. Also, Blue Knob is always less crowded and less expensive than other ski areas mentioned in this thread. Full disclosure: the first place I went skiing was Blue Knob in 1967 and it has always held a special place in my heart. I have about 350-400 ski days there over the decades. Yeah, the money situation’s very different between Snowshoe and Blue Knob. BK was very much a mom-and-pop type operation until recently. There was group of investors out of Pittsburgh that bought it. Bonus is they were all BK skiers as well so they have the love that a bigger company doesn’t. The good news about Blue Knob is the new owners are working on a lot of the deferred maintenance issues. They had to repair some snowmaking this past year as lines on Expressway broke (hence why it opened much later in the year than normal). They’re also working on the chairlifts. The new owners are pretty serious about making it a better place, and they’ve been quite active promoting golf and other activities and festivals over the summer. Hopefully that’ll give them some much needed revenue to really upgrade the place. It’s oozing with potential. They’re also very responsive on FB to questions. You’ll be hard pressed to find more challenging terrain around here than BK. Extrovert’s a very steep run (talking around 30-35 degrees pitch) plus it’s on a negative bank. It rarely gets groomed so there’s usually some pretty big bumps on it. They used to have an annual race on it. They also have a lot of narrow runs that can get quite challenging. Lower 66 and High Hopes don’t leave much margin for error, and can get hairy when the snow’s lean. It’s on the 2nd highest peak in the state and faces NW. It gets cold up there and is more likely to ice up than some of the hills in the area - especially at night. Another nice thing about BK is that there are plenty of ways to be able to ski the whole 1000’ vertical, and ways to avoid some of the flatter spots (original Lower Mambo/Run Out, and the ends of Upper 66/High Hopes, I’m looking at you). The Expressway triple has several runs that filter into it .. putting around 700’ of vertical or so, so you don’t have to do the long run out to the bottom if you don’t want to. One of the doubles also has a midstation so you can get back on the blacks more quickly without having to mess with the flatter stuff at the top. They had dirt cheap season passes early on … you could pick them up as cheap as $199. Laurel Mountain has the steepest run in PA in Lower Wildcat. Main problem there is since it’s pretty small, you’re not going to get a lot of variety. Someone mentioned winch cats … Roundtop and Liberty both purchased a winch cat in the last couple years. That was supposed to help Ramrod and Gun Barrel at the top. How about Elk Mountain? Also, a 6.5 hour drive will get you to Mt. Snow with 1700’ of vertical. The North Face trails are pretty nice. I’d take an advanced skier/boarder who wants speed and steeps to Montage over Elk. Not worth the extra driving time from DC. Elk has a couple of bump runs but of course they are short. For 1000 ft vertical in one shot, Plattekill delivers. No crowds. Perhaps an hour more driving and limited lodging nearby. Snowshoe has the most reliable conditions in the Mid-Atlantic; and they have only improved this fact by the multi million dollar investment in additional state-of-art snowmaking. Snowshoe has a winch cat! While I have full respect for those who enjoy the uphill as much as the downhill, I ski for fun not challenge. Fun can be groomed slopes at Massanutten—especially with friends—or powder out west, or bumps anywhere, or cruising long groomers with a view, or even taking lessons with experienced instructors. I had fun as an intermediate who only skied 4-5 days every 2-3 years. I had fun as a parent on greens/blues when that’s all my daughter could ski as she learned in the SE/VA. I’ll stick to the fun I have riding lifts. Different strokes for different folks. I am resurrecting this thread with news on my end. First, I wanted to give my appreciation for the time and effort you all spent helping me learn about the winter terrain, costs, and options for skiing/boarding when living in the DC metro area.. I learned a lot, and as I mentioned in the thread, I secretly hoped to solve my desperate need/dilemma to find the best snowboarding terrain (fast, steep, and pow) in the mid-Atlantic, by actually moving to Colorado instead. Simply put: I did not find a job in Colorado, but I did find one in Manchester, NH…and it was just confirmed. I am so stoked ! Google maps shows Cannon at 1.5 hours and Killington at 2 hours from my new rental home (we are moving next week)..
Basically I did a TON of hard work to find a new job, a new house, and we now have to move (ugh!) ..and I am totally okay with all of that. There are going to be plenty of fast, steep, and long trails, trees, powder, and varied terrain that I will be happy riding for years..
Congrats. So which pass are you going to buy??? I’ve been to 21 of the above mtns and of them my favorites would be in no particular order: Killington, Sugarloaf, Sugarbush, Stowe, Wildcat primarily based on great terrain and scenery, but you have got a lot of nice options depending on your priorities for terrain, crowds, family preferences, and proximity to Manchester. Generally, the further north you go, the better the snow, but many areas up there have great snowmaking systems to equalize things. If you search DCSki you should be able to find old trip reports/articles by various authors on a lot of these places. I “think” I will buy a NH resident season pass for Cannon ($399), and explore select spots in VT, NH, and maybe Maine..maybe into Canada.. My first full season back since 2010 - I’m going to be pretty out of shape. My exploring/driving time will be limited by work. This year I hope to do recon to help save money (choose a pass?) for next year. Cannon and Killington are probably going to be the 2 that are best suited for me because of the terrain and because of drive times. I like being very familiar with a mountain, assuming it has a lot of terrain, I don’t feel the need to ski everywhere..just pick the best terrain/drive times/snowpack and regardless of the pass situation, just make it work.. No doubt it will be expensive. Jay Peak looked really good on video..not super close to Manchester - finding people to drive with would be nice. The current pass offerings look good for people with the freedom/free time to take advantage of them, I may not have that flexibility..
Congrats! As of this weekend, Killington, Mount Snow, and Wildcat will be open. Starting to feel like a good season in the northeast. 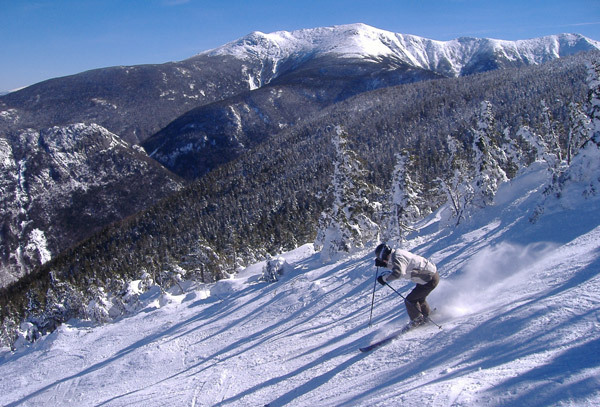 Check out the Northeast Mountain Sports ski forum. Like DCSki, it’s a small regional forum with some very knowledgeable folks but it’s relatively new. Cannon is the home mountain for a few of them. You’ll find info about lift ticket deals. Do take a look at what Magic and Pico have to offer. Cannon would be a fine mtn to call home, after all it produced Bodie Miller! Very scenic, no-nonsense type of mtn with some challenging terrain. Wildcat looks great as well, but almost 2x the driving time.